Harbor Hospital, owned by MedStar, is located in Baltimore City, Maryland overlooking the Patapsco River. It has 179 hospital beds, and is a teaching hospital, with much of the care being provided by internal medicine residents (doctors who have completed medical school, but who are learning about a particular specialty). The hospital has a particular focus on internal medicine (including primary care), orthopedics - they are the official medical team of the Baltimore Ravens - cancer care and women's services (including gynecology and labor & delivery), but it does have a very busy ER as every hospital downtown does. Because the hospital is located in Baltimore City, the majority of Harbor Hospital medical malpractice cases are filed in Baltimore City Circuit Court. Baltimore City has a good reputation for fair jury verdicts, and plaintiffs' lawyers often choose Baltimore City, even when other venues are available. Harbor Hospital was subject to a $21 million Baltimore City jury verdict in July 2012 in a birth injury mistake case. Plaintiff in that lawsuit alleged that failures on the part of the delivery team was the cause of a child's severe cerebral palsy. As part of the MedStar system, Harbor Hospital is typically defended in medical malpractice lawsuits by attorneys Goodell, DeVries, Leech & Dann (Donald DeVries), or Armstrong, Donohue, Ceppos, Vaughan & Rhoades (Benjamin Vaughan). These firms have very good medical malpractice reputations. When you have a serious malpractice case against one of these firms, you need to bring your "A" game. Every medical malpractice case begins with a review of the medical records. Any medical malpractice lawyer will tell you that they have seen many potential claims that appeared to be obvious malpractice, only later to find reasonable explanations for the care in the medical records. Conversely, sometimes what seems to be a questionable case becomes much stronger by seeing what the doctors did - or did not do - for the patient. Below are medical malpractice lawsuits that have been filed against the hospital and a summary of the allegations in the case. 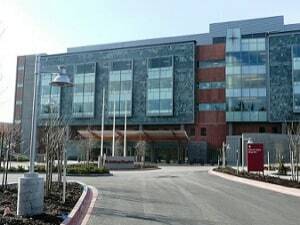 If you were injured at Harbor Hospital or any other hospital in Maryland, contact our medical malpractice lawyers at 1.800.553.8082, or send us a free internet request for consultation.We have worked with medical experts in every specialty, and we can help you determine whether you qualify for a lawsuit.